Currently accepting new patients. We accept almost all insurance plans. Are You Searching for a New Physician? 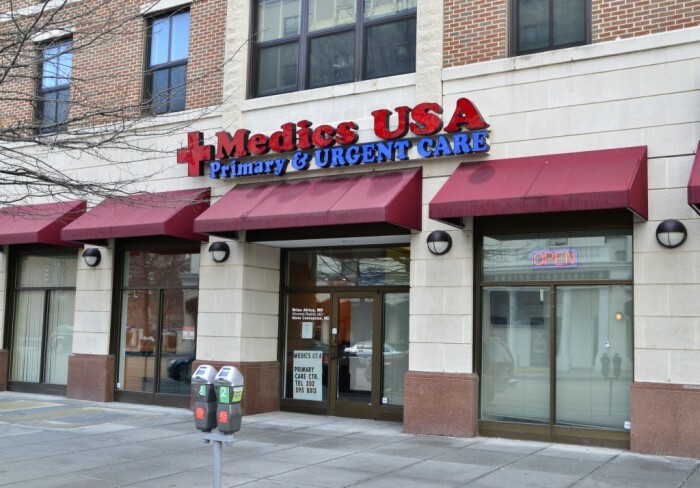 Whether you’re in need of a new primary care provider in Washington DC or you need to know where the nearest urgent care facility is in relation to your house, you can count on the team at Medics USA to take great care of you no matter your situation. We offer a number of different services — as well as same-day appointments — and our goal is to take great care of you. Scroll down to learn more about our clinic, your primary care providers, and the services we offer at our Dupont Circle location. 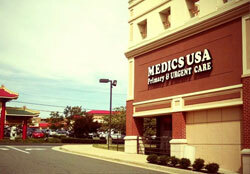 The Medics USA office in the Dupont Circle neighborhood of DC offers both primary care and urgent care. We are accepting new patients. We accept almost all insurance plans, Medicare, and Medicaid. Spanish, Urdu, and Farsi spoken. Khurram Rashid, MD, did his Residency in Obstetrics and Gynecology at the New York Medical College. Dr. Rashid, a well-known instructor and lecturer, is the founder and Medical Director of Medics USA. Nicole Heidaran, FNP, received her BS in Nursing from East Carolina University and her Family Nurse Practitioner degree from Marymount University in Virginia. She has practiced as an RN and FNP in Virginia and Maryland hospitals and primary care offices since 2011. Erdenesuren Jambal, FNP, is a Family Nurse Practitioner trained at Georgetown University. Before her FNP certification, Erika spent 6 years as an RN in DC and Northern Virginia, and for 4 years she was an Instructor in the Certified Nurse Aide program at Columbia College in Fairfax VA.
Azin Raouf, FNP, is a certified Family Nurse Practitioner. For over a decade, she practiced as a Registered Nurse in hospitals in Maine and Northern Virginia. In 2016, Azin received her Master’s in Family Nurse Practice from St. Joseph’s College of Maine. She is fluent in Farsi. We offer same-day appointments at our Dupont Circle office – call today or book your appointment online! We are located on 17th Street NW, between R Street and Riggs Place. Seconds from the 16th Street bus; minutes from Bethesda, Chevy Chase, and Silver Spring.